Plastic surgery is not just for women! We are happy to assist men in their goals of looking younger, fresher and more fit. Facelift, mini facelift, neck lift and blepharoplasty are some of the procedures requested by men for facial rejuvenation. The non surgical treatments including Botox, fillers and peels are provided in our private setting by appointment. 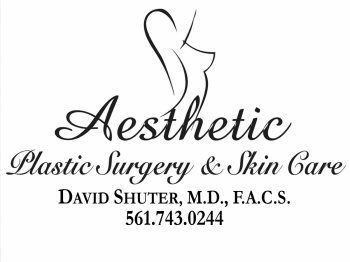 Extensive information about the procedure you are considering will be provided to you during your initial consultation with Dr. Shuter. Your concerns will be addressed and all of your questions will be answered. For skin quality improvement, peels are recommended. During in office procedure, the old, damaged cells on the top layer of skin are exfoliated, leaving the skin smoother and help to diminish fine lines and even out dis coloration. A series of peels is recommended so you may achieve the best result. Filler can be used for deeper lines. Results last from four months to one year, depending on location and filler. * Dr. Shuter performs all injections himself after a thorough discussion with patient. Botox can address moderate to severe glabellar lines between your brows as well as other facial lines. According to Allergan, Botox Cosmetic is the most popular minimally invasive aesthetic procedure for males. Although many different body procedures are requested by men, the most common are liposuction and treatment of gynecomastia. Liposuction also known as lipoplasty, slims and reshapes specific areas of the body by removing excess fat deposits. Performed in a certified surgery center, this is an outpatient procedure that can be performed on different body parts, including abdomen, hips, chest, neck, to address “stubborn” fat pockets. Treatment of gynecomastia, or male breast reduction surgery varies from patient to patient. Surgery, with or without liposuction may be used to treat this condition. Dr.
Shuter will provide his recommendation for the treatment during your private consultation. For more information, call (561)743-0244 or email our office.